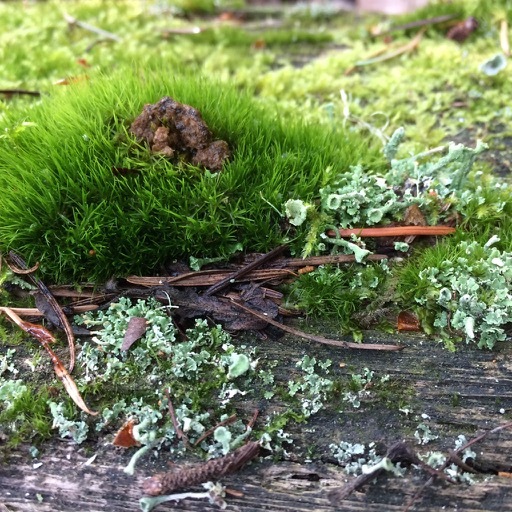 I’m here to confess a preoccupation with mosses. I suppose it was bound to happen, after having lived in the desert for 8 years. I chose to move to the Pacific Northwest because of trees and mountains and the color green. The mere color green, as manifested in plants, had become such an elusive sight that I could look at photos of Olympic National Park online and just cry. That such wealth of green existed, somewhere, was promising. But I dreamed of living there, of being immersed in the green light of reflected leaves, needles and tendrils brilliantly photosynthesizing. I dreamed of moss. Moss all over everything. Three mosses from down the road, all growing together. Kindbergia oregana, Hedwigia ciliata(? ), Dicranium… scoparium? This process has taken hold of me, and I’m unsure why the urgency, but I’m not resisting. I’m planting ferns in my garden and encouraging mosses to grow among them, but gardening is not my main motivation. No, it has more to do with expanding and deepening my interaction with my immediate surroundings. Making a home here by looking closely, paying attention, learning the details. 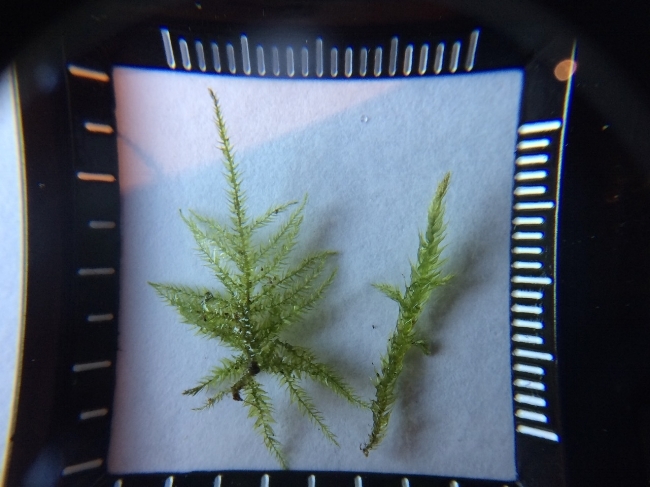 In trying to distinguish between different moss species (without the aid of a microscope, which would be really helpful,) I’ve been forced to notice the shape of leaves only one millimeter long, whether they have serrated edges, whether they taper at the tip, how they are placed on the stem in relation to each other. All of these factors have botanical terminology, yet another set of new words to learn. But the important thing is seeing it, noticing that how leaves grow tells something about the plant, and that such characteristics are present and distinct even if it takes a microscope to see it. Each living being has so much going on. Then, when I look up and survey the larger world again, I notice and understand more about big trees and other plants, because they are like giant versions of the mosses. It seems that the mosses are teaching me how to see - an unanticipated and very welcome lesson. I do need to find more people with this preoccupation, since I often hit a wall with my attempts to identify. But the looking is still fascinating, even when I don’t know exactly who I’m looking at. 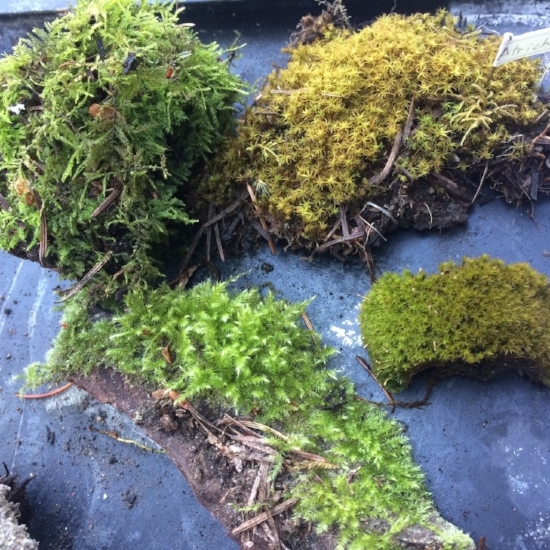 Four mosses awaiting further examination and ID… Upper right I think is genus Atrichium, and lower right Barbura…. unguiculata? Moss from the waterlogged rain gutter of my garage. Whatever this is, it loves to be completely wet. I’m gathering my images into a Flickr album so they are easier to peruse all together.